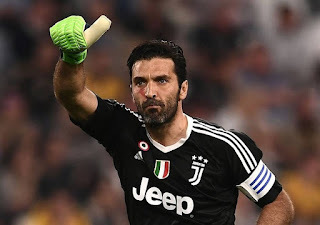 Paris Saint-Germain goalkeeper, Gianluigi Buffon, has said they made their Champions League win over Manchester United “seem easy”. The Ligue 1 champions beat United 2-0, in the opening leg of their last-16 tie at Old Trafford on Tuesday. Presnel Kimpembe and Kylian Mbappe scored within seven second-half minutes, to put PSG in the driving seat to reach the quarter-finals. It was United’s first defeat under caretaker manager Ole Gunnar Solskjaer and their heaviest home loss in Europe. “We made it seem easy by putting everything we had into those 90 minutes, the unity that is fundamental in this competition. “We took some risks, but they allowed us to breathe when under pressure and break their attempt at pressing. “In such a balanced tie, that is worth so much,” Buffon told Sky Italia.